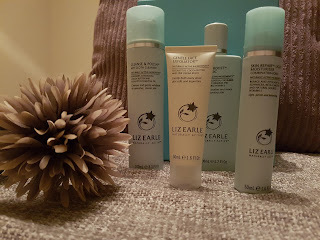 SCOTCH MISS: Liz Earle - Worth The Hype Or Just Another Skincare Brand? Liz Earle - Worth The Hype Or Just Another Skincare Brand? Before I decided which products I wanted to try, I had a thorough look through their range; there are alot of different options available when buying from the Liz Earle brand. I decided to go with the Daily Essentials Kit for Combination/Oily Skin. Boots have this on sale for £45. I know, I know, some of you may think "Yeesh, £45 for skincare?!" but consider this, the cost of buying all 5 items together outwith this kit is over £65!!! £45 doesn't look so bad now does it. The first thing I absolutely need to mention is the branding and packaging, oh boy! The Daily Essentials Kit comes packaged in a beautiful, luxurious aqua box, a colour which is seen meandering its way through most of the range. 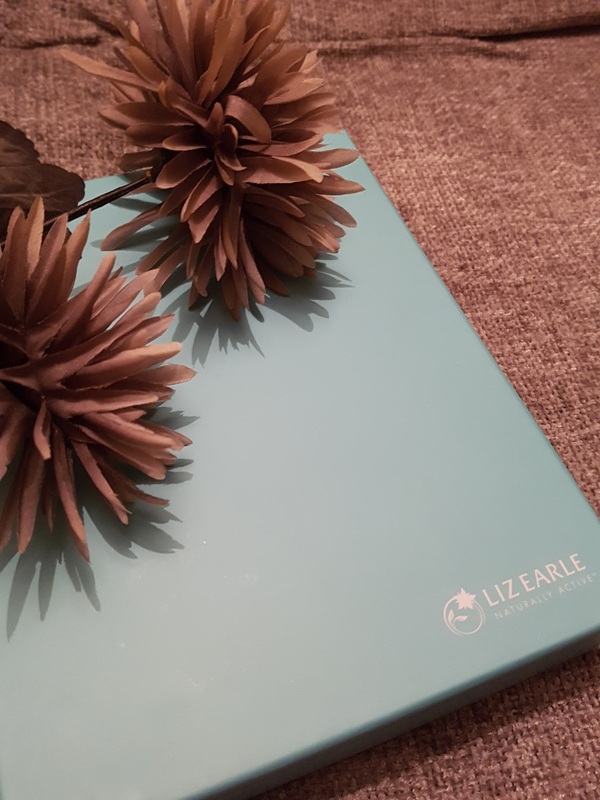 Although I am fairly new to the Liz Earle brand, I'd recognise the colour anywhere and what's interesting is when you look at the psychology of the colour turquoise, it represents femininity, calming, serenity, emotional balance, spirituality and tranquillity to name a few. When you read the story behind the brand this aligns alot with their values and principles.That's branding well done. Another plus for me is that Liz Earle is also founded in the UK, or the Isle of Wight to be exact; that's where their HQ's are. I think the Instant Boost Skin Tonic is quite possibly my favourite product in the kit. It is recommended that this is applied after the cleanser. When applying this product, I soak a cotton pad in it and then pat it over my face. The aloe vera and calendula both soothe and soften the skin. I love this product for two reasons; number one is the smell, I am a sucker for anything that smells remotely like rose, and this product doesn't disappoint, the aloe vera is the more noticeable scent however there's definitely a faint whiff of rose in there! Number two is how it makes my skin feel; as mentioned before, I use this product after the cleanser and my skin just feels invigorated, it leaves my complexion soft and glowy and doesn't dry my skin like other toning waters do. Last in the kit is the skin repair light moisturiser, this is the product I was most dubious about. I don't have much luck with moisturisers, I have combination/oily skin and so most moisturisers are only geared towards one or the other, so either I get one for oily skin which dries out certain parts of my face, or I use one that targets combination skin which makes other areas of my face look like an oil slick! I'm sure you feel my frustration! So having pretty much already made my mind up about this moisturiser, I decided I should try it anyway, I mean so what if it breaks me out - who doesn't like a few spots, right? Well, this should be a lesson for me not to judge a product before I try it - the moisturiser is lightweight and thin in texture, when its applied to the skin it just melts in and doesn't sit on the surface of the face like other brands. I usually let the product soak into my skin for around 5 minutes before applying my foundation and the finish is gorgeous; definitely a great base for make up. Once I apply the moisturiser to my skin, it lasts all day without becoming oily or greasy. The final part of the kit is the Gentle Face Exfoliator, you can use this as often as you like in your skincare regime, I usually use mine once a week and like the name suggests, it's an exfoliator that is gentle on the skin. Jojoba beads gently exfoliate the skin whilst the eucalyptus soothes and cools making way for the cocoa butter to works its magic and lock in moisture, resulting in a clearer, brighter complexion. The eucalyptus is definitely the prominent scent in this product, but again as with most of Liz Earle products, it's not over bearing or offensive, it smells fresh and soothing. I have to say, this kit has definitely changed my skin, what used to be dull, lifeless leather-like skin is now a bright, moisturised, smooth complexion. Everything about these products symbolise luxury, from the scents to the packaging to the results. Liz Earle you rock! I'm looking forward to trying more of their products - wait - did someone mention Liz Earle candles...?